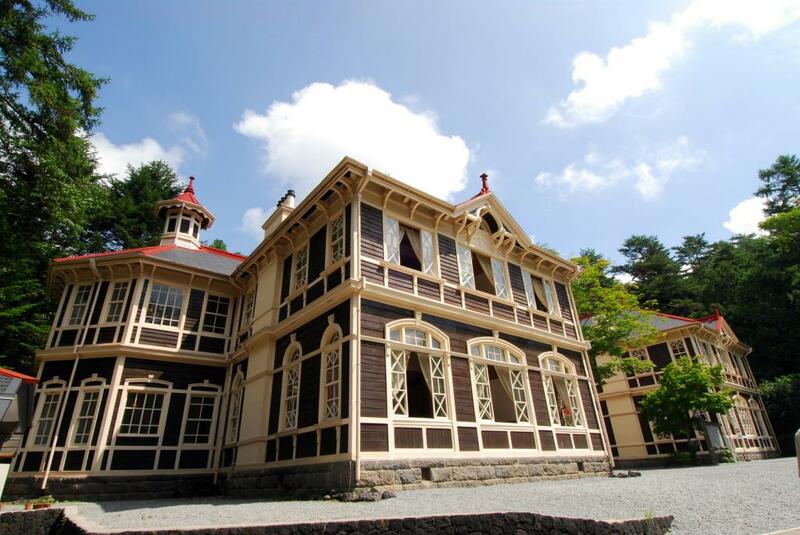 The Mikasa Hotel was built in 1905, the middle of the Meiji era when Western-styled architecture was just starting to enter Japan. It was completely designed and built by Japanese craftsmen using Western design and methods, one of the finest examples of its time. Owing to its careful preservation and particularly unique stairways and handrails, the hotel was designated as a National Treasure. Closed Dec 28 thru Jan 4th. From Karuizawa Station(JR Hokuriku(Nagano) Shinkansen), From the Kita-Guchi (north) exit, take the Kusa-Karu Bus from platform #2 (bound for Kusatsu), Mikasa stop (approx. 8 minutes), then 5 minutes on foot.